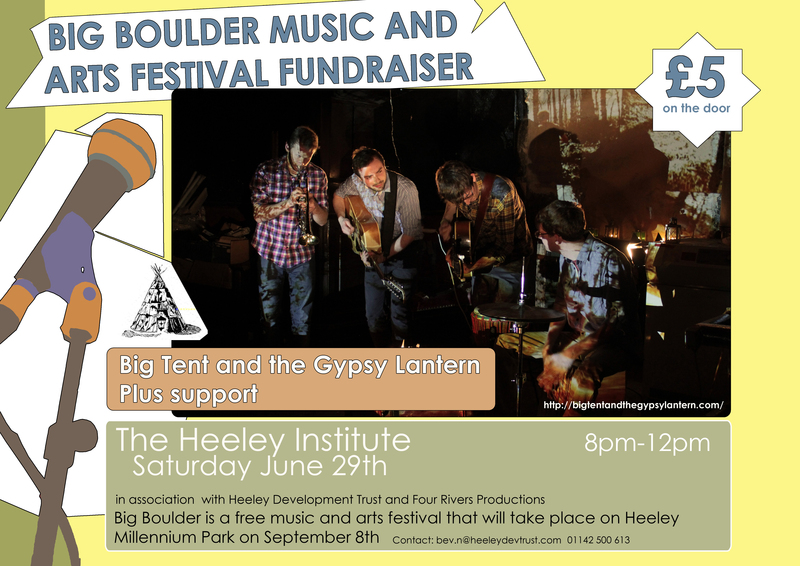 Big Tent and The Gypsy Lantern @ The Heeley Institute, Saturday 29th June | IT'S HAPPENING IN HEELEY! Get yourself introduced to this young band from Birmingham who have just released their first album. There are lots of strong harmonies, driving guitars, some interesting arrangements courtesy of the layers of strings, percussion and trumpet and some very, very good songs. Vocal harmonies with hints of retro West Coast, a touch of XTC, and maybe a hint of Mumford and Sons but much more dynamic. They are full of promise and should be a knock out live. There is a full supporting programme from local loves The Hungarian Lanterns and a solo set from The Silver Darlings. The doors open at 8pm so get in early to enjoy a very keenly priced selection of beers, wines and spirits in the friendly atmosphere of our beloved Institute.